Could the Time of Day You Wake up Affect Your Risk of Being in a Car Crash? According to some experts, waking up early could impact your risk of being injured in a car accident. Anecdotally, you probably already know that waking up early can lead to fatigued driving in Hollywood or your community. 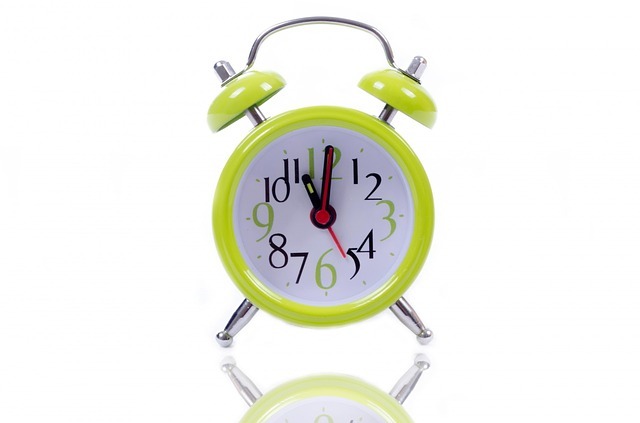 A very early wake-up time can mean grogginess, which can impact your ability to drive. Studies of truck accidents have also shown that truck collisions are more common late at night and early in the morning, in part due to fatigued driving. Sleep researchers believe that waking early could especially have a big impact on teen drivers. In teenagers, biological and hormonal changes can mean that changes happen to circadian rhythms and sleep patterns. This can mean that teens are more tired and may be biologically inclined to fall asleep and wake up later. When teens are forced to wake up early (for school, for example), they may feel especially fatigued. If they have to drive themselves to school, this fatigue could be a real problem. School boards in some parts of the country are responding to the sleep research by considering later school start times to keep students safer (and more focused on school work). Currently, in order to get to school on time, some students need to start getting for school well before six in the morning, which can lead to sleep loss and fatigue. Researchers say that severe sleep loss can increase a student’s chances of sport injuries, traffic crashes, and poor school performance. In the long term, not enough sleep can cause metabolic problems, heart issues, and can contribute to conditions such as high blood pressure and type 2 diabetes. Fatigued driving can be as dangerous as drunk driving in Hollywood and other communities, according to safety experts. Fatigue can affect response times, cognitive function, and ability to drive just as readily as alcohol can. A motorist who is tired may make mistakes that lead to a crash or may even fall asleep at the wheel, losing control of their car. Have you been injured in a traffic accident in Homestead or another Florida community? If you believe that a negligent or fatigued driver may have caused your injuries or if you think your accident may have been caused by someone’s recklessness or negligence, you may have a legal claim in your case. To get legal advice about your position, contact Flaxman Law Group. Your initial consultation is absolutely confidential, free, and comes with no obligation.